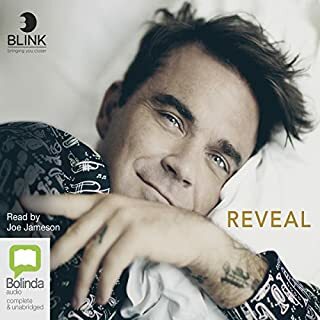 An intimate, funny and frank account of the moments behind the music, of the truth behind the headlines and of the fascinatingly complicated man behind the imperious entertainer, Reveal is Robbie Williams as you've never seen him before. Best-selling author Chris Heath has been working closely with Robbie for many years to create a personal and raw account of fame, fortune, family and music - a vivid and detailed story of the real highs and lows as Robbie has found his way forward, that is unprecedented in its intimacy and honesty. I’m a big Robbie fan and also live near Stoke-on-Trent so had a bit of a local angle too. Really interesting insight into Robbie’s mind and life over a fairly wide expanse of time. I found the timelines a little hard to follow at times, but I think that’s just me! Contrary to previous reviews I actually liked how the narrator did the various different voices and I think his Robbie voice is spot on! I’m not a Stokie or a City supporter but I do live in the Potteries now. I’m sure some of the stories and locations would resonate more with locals. 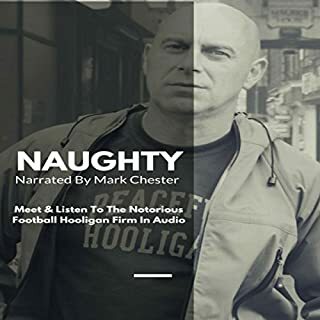 Some cracking tales of mischief and friendship, and I really enjoyed the listen. Sometimes it was a little difficult to follow the timelines but it was entertaining on the whole.